Several therapeutic strategies have been proposed to optimize the conventional treatment of fractures. Photobiomodulation (PBM) appears to help reduce pain and control inflammation, and it also accelerates bone repair. 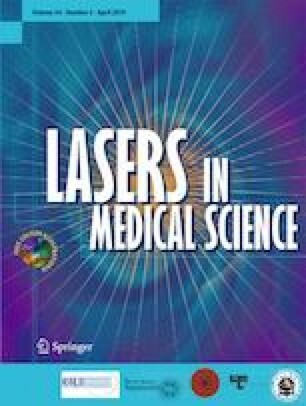 This systematic review aimed to evaluate the effectiveness and safety of PBM with low-level laser therapy (LLLT) in the bone fracture healing process. We included randomized controlled trials (RCTs) comparing the effects of PBM with those of any other intervention in adults with lower or upper limb bone fractures. The primary outcomes investigated were pain reduction, radiographic healing, and adverse events. The searches were conducted in October 2018. Two RCTs were included that compared PBM to the placebo. A meta-analysis showed significant difference in favor of PBM for pain reduction (MD 1.19, 95% CI [0.61 to 1.77], 106 participants, two RCTs), but this difference was not clinically significant. One RCT (50 participants) showed a clinical and statistical improvement in physical function (MD − 14.60, 95% CI [− 21.39 to − 7.81]) and no difference in radiographic healing, regarding absence of fracture line (RR 1.00, 95% CI [0.93 to 1.08]) and visible bone callus (RR 0.33, 95% CI [0.01 to 7.81]). The certainty of evidence was classified as low to very low. Based on the evidence of low to very low certainty, PBM seems to be associated with the improvement of pain and function. Therefore, new RCTs are required that meet the recommendations of CONSORT to prove the effectiveness and safety of this intervention and support its recommendation in clinical practice. The online version of this article ( https://doi.org/10.1007/s10103-019-02779-4) contains supplementary material, which is available to authorized users. Informed consent is not applicable in this study.